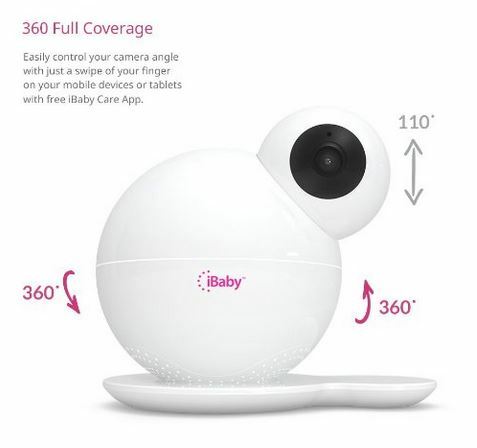 Most parents will remember the days when a baby monitor was essentially a walky-talky dressed up in cute baby colors. 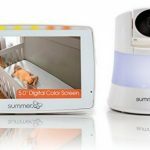 Audio monitors have advanced rather well (we’ve got a whole write-up on the best ones to buy, even in the 2017 and beyond), but many parents are now more comfortable with a video monitor which allows them to see their baby from another room. Well, the iBaby M6T represents the next stage of evolution for those old ancient monitors of the 1980s and 90s. 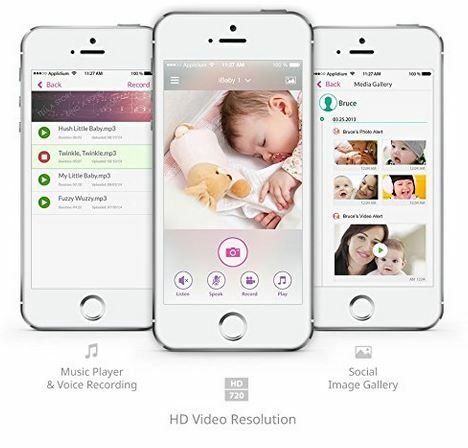 It’s not only a high quality video camera, but it utilizes your smartphone, is powered by Wifi, has remote control movements, and even includes a humidity and temperature sensor. Nope, this aint no walkie-talki anymore. 360-Degree Camera – Probably the neatest thing we did was to be able to use the mobile app to pan around the room on demand. The 360-Degree capability of the camera means you can cover the entire room. It has 110-Degree tilt (up/down) so that you can see a wide birth of the vertical space as well. 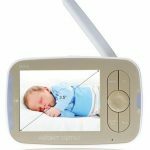 Temperature/Humidity Sensor – The “T” in the model name (M6T) stands for “temperature”, and its an added feature that differentiates it from iBaby’s previous model M6. 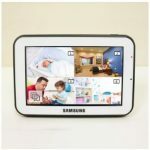 It shows both temperature and humidity readings directly on the app screen, which is an added comfort in knowing that your baby is comfortable and at a reasonable temp. Music – The model comes with 13 MP3 quality songs that can be played automatically via the remote app. These are high quality songs and not low quality midi-style beeps that some lesser brands might have. Motion and Sound Activated Recording – You can set the camera to record when there is movement or sound. This allows you the peace of mind of being able to see events that happened while you were sleeping. Smartphone and WiFi Only – As mentioned before, the unit is WiFi based and the monitor goes through an iPhone or Android App only. 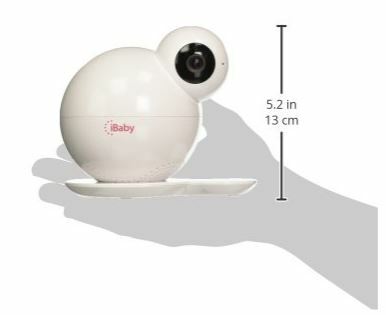 This is arguably a reasonable move by iBaby, considering the ubiquitous nature of smartphones and the redundant nature of standalone handsets. While this can be seen as generally a positive thing, it does somewhat limit the usefulness for homes without smartphones or with spotty Internet connections, or those that simply don’t want to rely on smartphones for functionality. 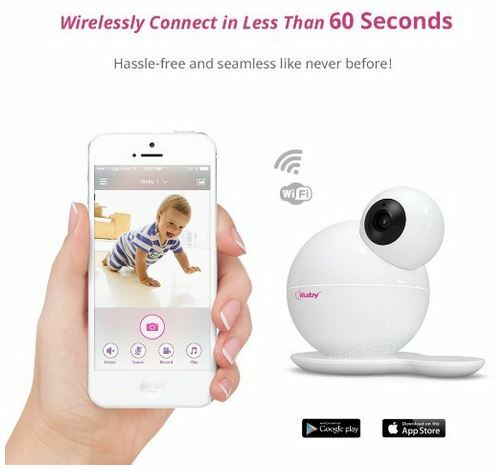 For these types of situations we would recommend utilizing an RF (Radio Frequency) Baby Monitor, which does not rely on WiFi capability in order to function. 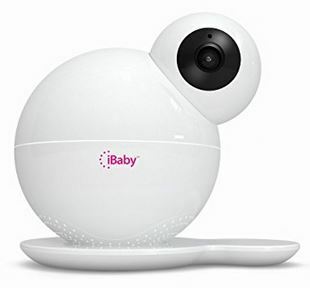 Our other top pick for year, the Infant Optics DXR-8 Video Baby Monitor, is just as feature-rich and highly recommended as this one, but is non-Wifi and has a dedicated handset. Overall the M6T is definitely a top of the line product, and unless its specific cons go against your specific situation, it would be a great buy for your household.